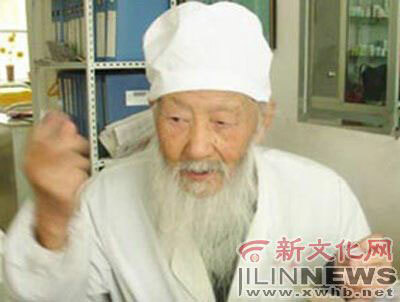 Gong Duruo, 105, a double PhD holder started searching for Ms. Right on his blog Wednesday, which surprised netizens nationwide, wrote the Chinese Business Morning View Friday.
" I cannot live without love any more, and I want someone to spend the rest of my life with," thrice-divorced Gong wrote in his blog. Gong wrote that he wanted a woman who knew a bit about medicine, and if she were around 50 years old, that would be a plus. He has received ten applications within two days. Zhang, 52, who comes from a long line of doctors' families, caught Gong's eye. Zhang's preliminary win was based on her preparation and inner beauty. " I went to a photo studio to take a picture for my application," she told the Chinese Business Morning View Thursday in a telephone interview. Gong, holding a PhD from both West China Union University and New York State University told the morning view Thursday that he hopes his would-be wife can help him edit his medical book, and Zhang's work experience as a doctor will help him.
" I'm not doing this for his money. I want to help him fulfill his dream of publishing the book and to learn from his profound knowledge of traditional medicine therapies," Zhang said.
" My father is 20 years older than my mother, and an instant warm feeling ran through me when I saw his online pictures," Zhang said when was asked about the age gap. She will be an apprentice rather than a wife, and many netizens questioned Zhang's intentions. In response Zhang said she believes Gong is an open-minded senior and they would live happily as together as spouses if their personalities fit each other. Zhang runs a beauty salon after her retirement in Shenyang, northeast China's Liaoning Province, some two thousand kilometers away from Gong's home in Baotou, Inner Mongolia Autonomous Region.
" I am willing to give up my business and to leave my daughter for him," Zhang concluded. Gong is still treating patients in a local community clinic, and practices qigong, a Chinese breathing exercise, everyday. He said being happy is his key to 'long life'.